Carotenoids are plant pigments which give fruits and vegetables their colour–from vibrant red, orange and yellow to green. 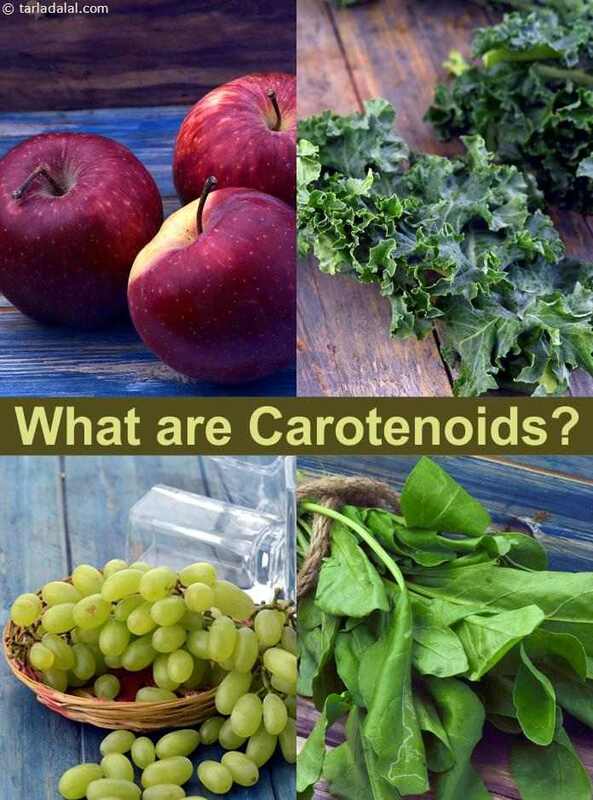 All the fruits and vegetables you love and enjoy eating are a source of some carotenoid. These fat soluble pigments not only add attractive colours to our menu but also a wealth of health benefits. Lutein (yellow colour) – found in egg yolk, corn, honeydew melon etc. Zeaxanthin (green colour) - found in the green leafy vegetables like kale, spinach, broccoli etc. Lycopene (red colour) - found in tomato, watermelon and grapefruit. As a general rule, the darker the colour of the plant source, the higher the concertation of carotenoids. So it extremely essential to choose your fruits and vegetables wisely. 2. Act as Antioxidant and reduces free radicals from the body. 3. Reduce inflammation in the body. 4. Keeps you away from diseases like Heart disease, Diabetes and Cancer. 5. Avoids plaque formation in arteries and ensures normal blood flow to heart. 6. Builds a strong immune system. 8. And most importantly increases longevity. Pay attention to your diet, choose the foods you like alternatively with the ones you are not very keen on to make up for your share of different carotenoid requirement. This section will help you sail through it easily.